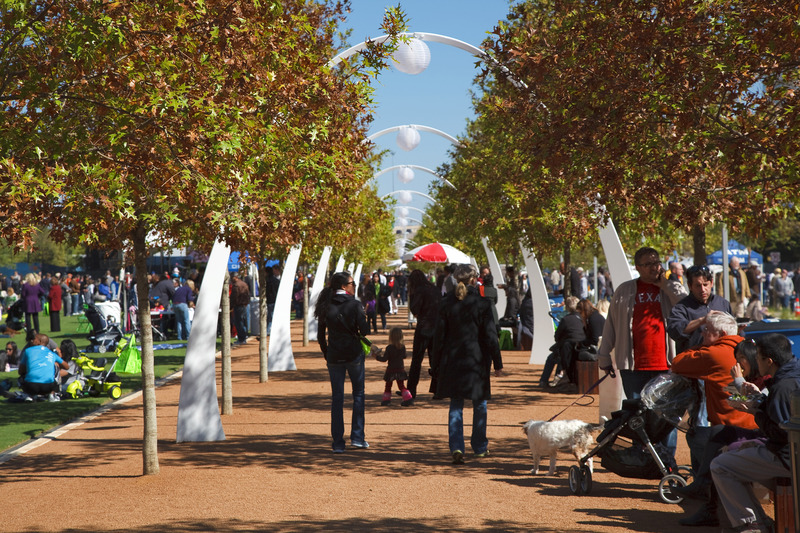 Embrace the cool temperatures and autumn breeze by journeying out to one of the many outdoor spaces Dallas has to offer. Hike through the Trinity River Forest, spend the day kayaking or picnicking at White Rock Lake, or stroll through parks downtown like Klyde Warren Park or Main Street Garden. For more ideas, check out our guide on outdoor adventures here. 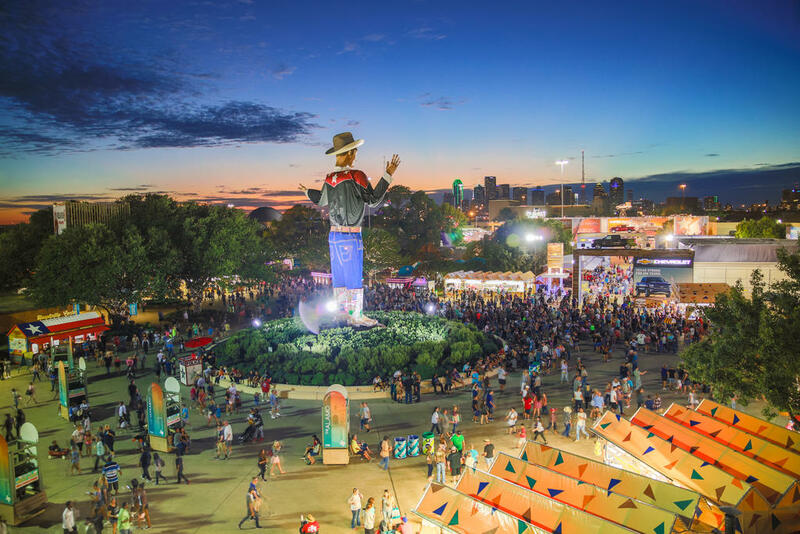 No fall experience is complete without a trip to the State Fair of Texas. Take your family and friends down to Fair Park for rides, livestock competitions, fried foods, live music and so much more! The fair runs Sept. 28 – Oct. 21. Click that link to learn everything you need to know. It's the most wonderful time of the year for sports fanatics – so don't miss a game. Ready for some football? 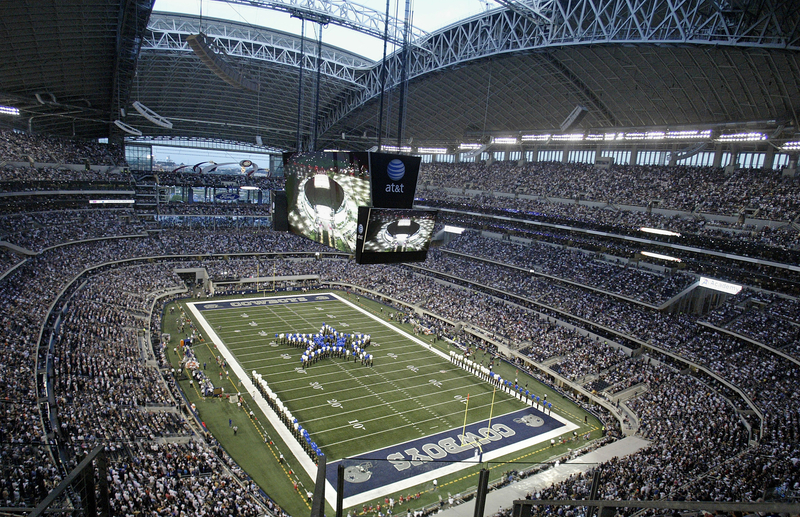 Grab your navy blue and silver gear and head to the AT&T Stadium to cheer on the Dallas Cowboys this season. The Dallas Stars will also be hitting the ice and the Dallas Mavericks will take to the courts at the American Airlines Center in October. Nothing says fall more than pumpkins, and even more so with 90,000 of them! 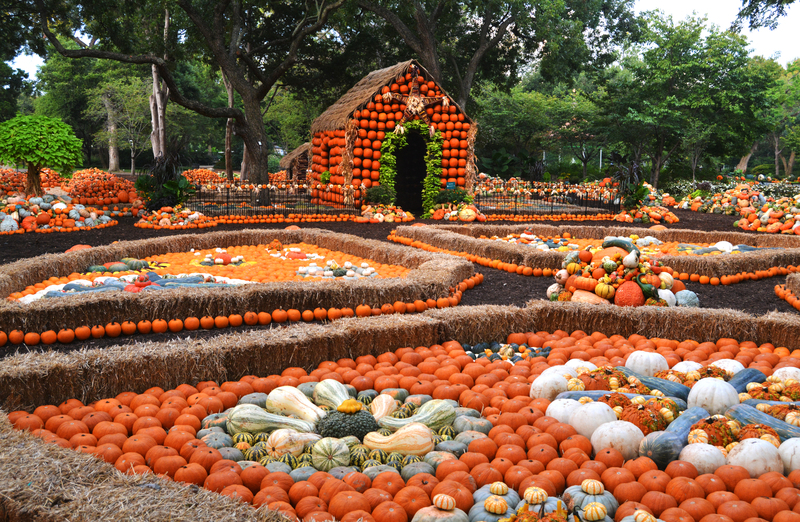 Autumn at the Arboretum is a Dallas tradition beloved by people across the nation who are drawn in by its vibrant autumn colors and creative presentation of flowers and gourds. Around every corner is a photo op waiting to happen. Each year the Arboretum's Pumpkin Village features a special theme and this year's will be Adventures in Neverland. Autumn at the Arboretum takes place Sept. 22 – Nov. 21. 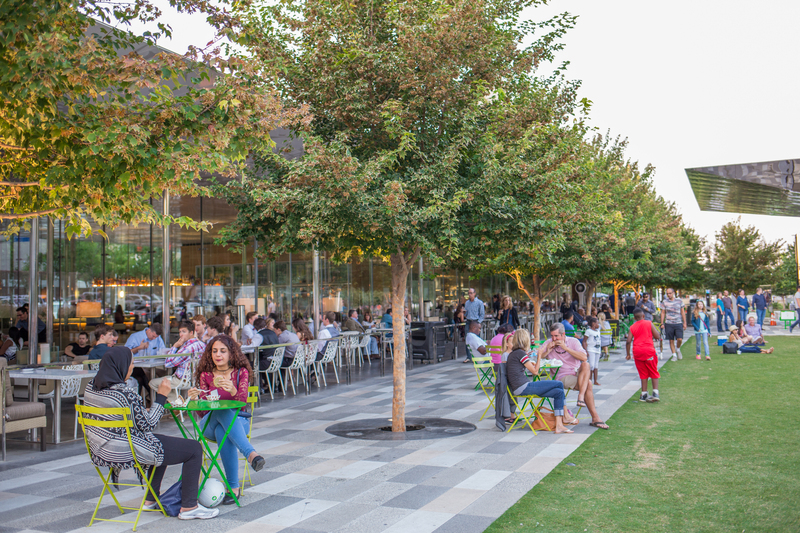 Before it gets too chilly out, take advantage of the crisp fall air by taking dinner or drinks to your favorite outdoor patio in Dallas. Each neighborhood in the city has many restaurants and bars with patio spaces, like The Rustic in Uptown, Savor in the Arts District, or STIRR in Deep Ellum. What better way to end a perfect autumn day than watching the sun set on the city?